Celebrate Dad’s Day with us this coming Sunday as we go into our 4th week of the Mabohai Ramadhan Sale. 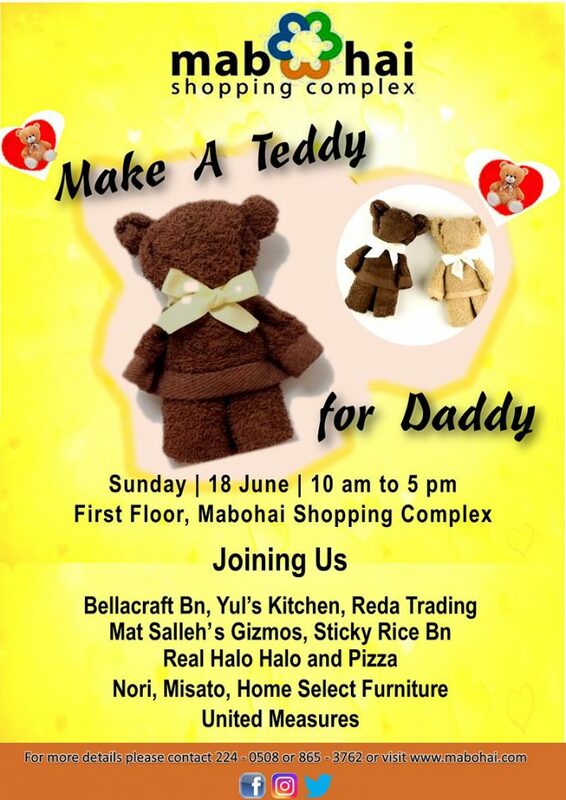 We have a special activity for families this Sunday, 18 June – Kids can “Make A Teddy for Daddy”. Learn how to make this cute teddy and give your dad a personalized teddy this Sunday. 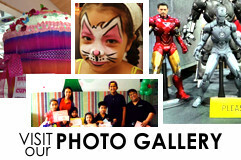 Joining us are Bellecraft bn, Reda Trading, Mat Salleh’s Gizmos, Yul’s Kitchen, Sticky Rice Bn, Real Halo Halo and Pizza, Nori Lifestyle, Misato, Home Select Furniture and United Measures. See you this Sunday from 10 am onwards at the First Floor of Mabohai Shopping Complex.